How Far is Akshar Estonia? Ever thought of living in a luxurious apartment, which comprises all the top-notch facilities and exhibits perfection at every angle. A place full of beauty, serenity, and peace, all under one roof at Akshar Estonia in Dronagiri, Navi Mumbai. Akshar Estonia is a place full of bliss and it resonates premium lifestyle in its lavish apartments for sale in Dronagiri. The project offers you 2BHK well - planned apartments and 3BHK apartments for sale in Dronagiri, Navi Mumbai. 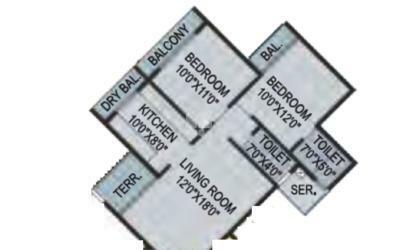 The dimension of these apartments is such that 2BHK has a size range of 1170 sq. ft. and 3BHK has a size range of 1525 - 1565 sq. ft. The project boasts all the world-class features and facilities for your convenience and hassle-free stay at Akshar Estonia. It gives you the life you always wanted to live, a sort of dreamland which has been a reality in Navi Mumbai. The location offers you a wide range of benefits, from easy access to other major parts of the city to close proximity to the famed schools, hospitals, shopping malls, public parks and other civic utilities.